Elegance and comfort are what the "Keisha" pump from designer Ros Hommerson is all about. 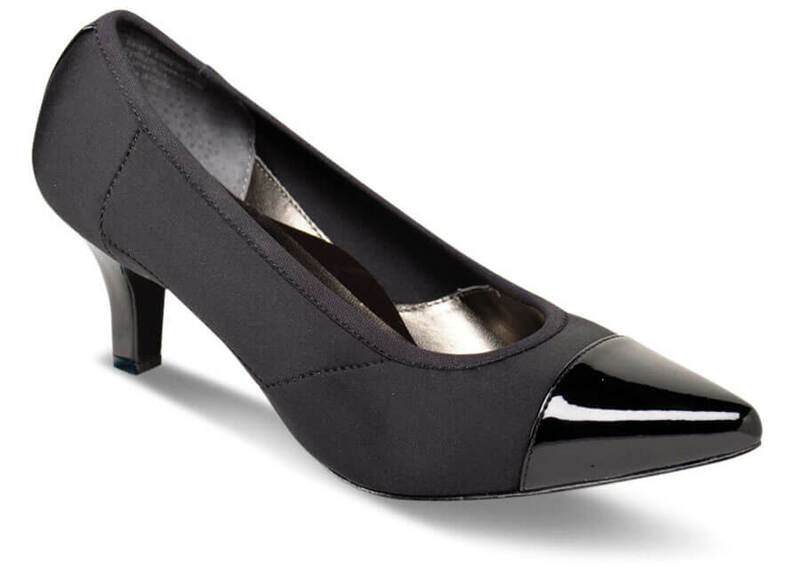 The tapered toe is high-shining black patent leather. The rest of the upper is black stretch nylon that conforms comfortably to your foot. 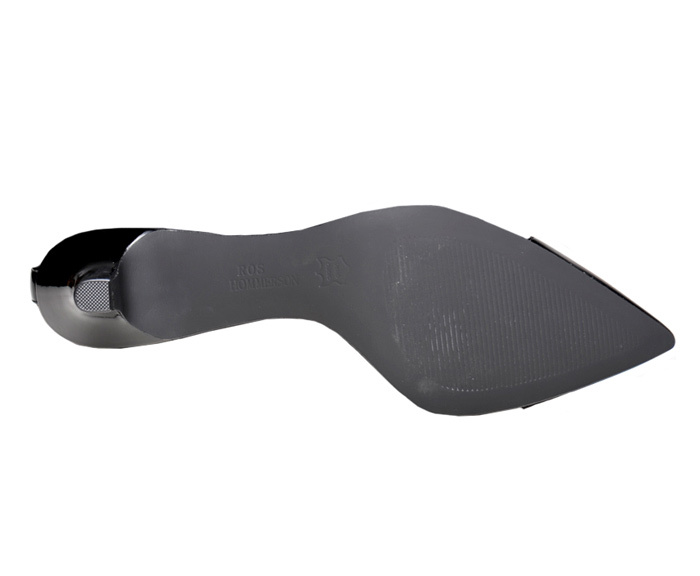 The insole has 4 mm. of Memory Foam from toe to heel to give that "Ahhh" feeling. Two-inch heel. Women's sizes 6–12, 13 in 2E width.